A. In the Main window, click Help, then License Manager. B. From your MDBG License Key email, highlight and copy (Ctrl+C) the license key. 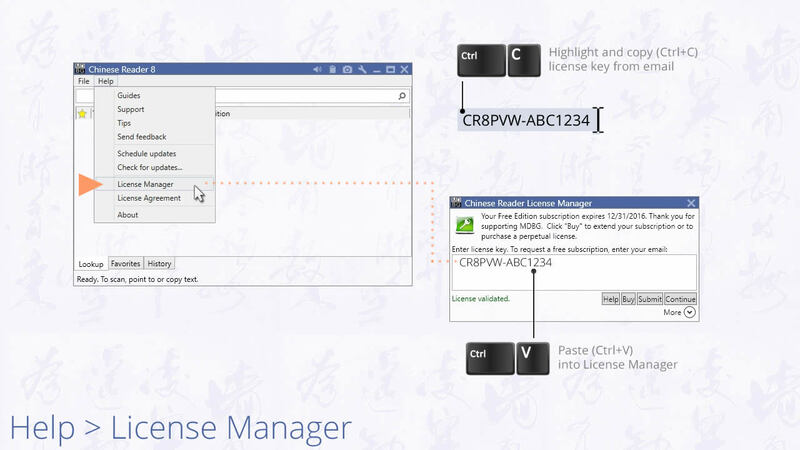 C. In the License Manager, paste (Ctrl+V) the license key and press Submit. After your license is validated, press Continue. Congratulations, your software is ready to use.